The 75,000 square-foot space offers an eclectic range of free drop-in programs led by community artists as well as hundreds of freshly prepared meals three times a week. The unassuming lower level of Artscape Youngplace, the bustling cultural centre that was once a vacant public school in Toronto’s west end, is where SKETCH has called home for the past four years. A place where creativity and community collide, the local nonprofit aims to engage at-risk and marginalized youth through the arts and encourage them to become enterprising leaders. Adorned with handmade crafts from floor to ceiling and every corner, the SKETCH studio is warm and instantly inviting. There’s music blasting from the speakers; the clanging of pots and pans; the sound of chairs being lightly dragged across the bare concrete floors. 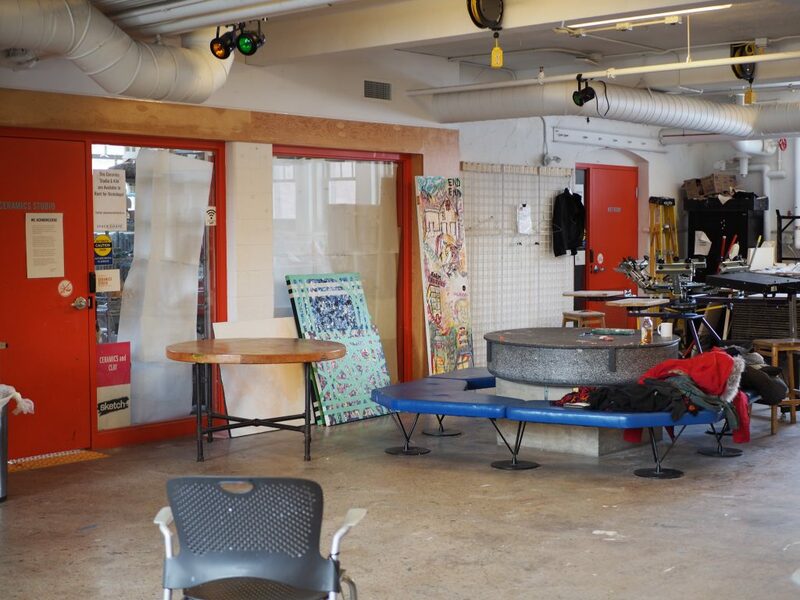 The 75,000 square-foot space offers an eclectic range of free drop-in programs led by community artists — everything from screen printing and beat boxing to acrylic painting and bookbinding — as well as hundreds of freshly prepared meals three times a week. 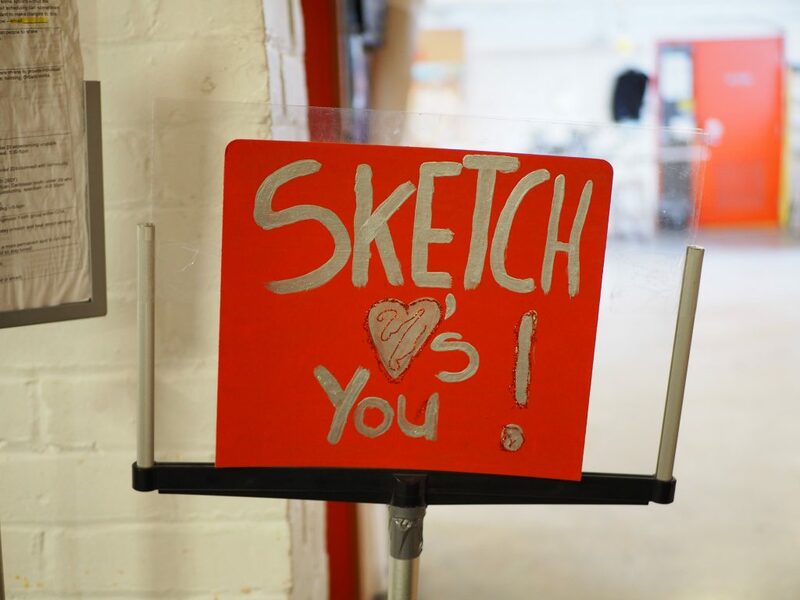 Since 1996, SKETCH has not only played a pivotal role in the lives of young people navigating poverty in Toronto, but has also established itself as an undeniable fixture in the city’s vibrant arts community. 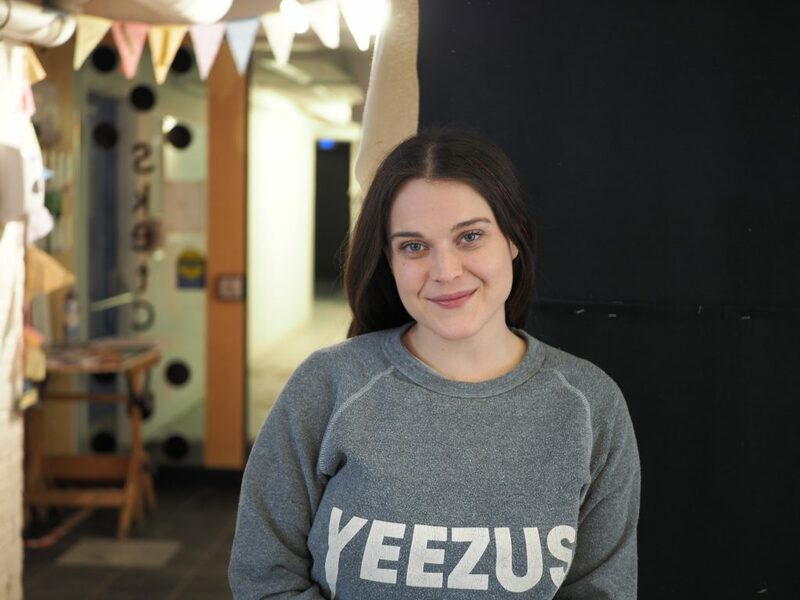 Associate artist Jess De Vittoris started her journey at SKETCH three years ago, volunteering in her free time while studying Curatorial Practice and Arts Criticism at OCAD University. Now she facilitates workshops in the visual arts studio, working directly with youth to create art that emphasizes sustainable practice and collaboration. “We can do very specific art instruction with watercolour while still offering an alternative way of creating an art piece that doesn’t rely on it being solely yours,” she explains. 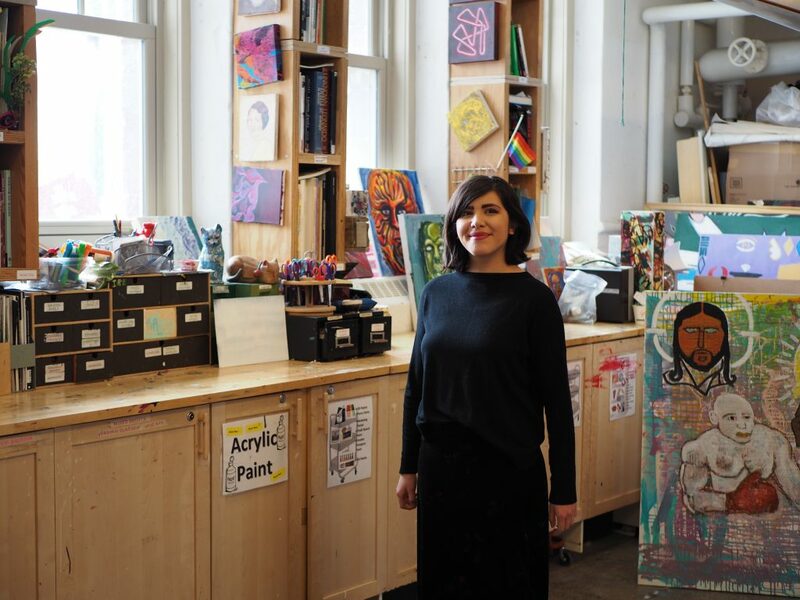 According to De Vittoris, emerging artists can often be hindered by the exorbitant costs of art supplies, studio spaces and educational resources. Since SKETCH provides unparalleled access to all three, they can be empowered to “find more accessible ways of practising art” without inhibitions. Associate artist Jess De Vittoris started her journey at SKETCH three years ago, volunteering in her free time while studying Curatorial Practice and Arts Criticism at OCAD University. While the majority of SKETCH’s budget comes from grants and donor contributions, it has recently been exploring alternative funding models, such as cause marketing, which involves non-profit organizations partnering with like-minded corporations. Last September, McArthur spearheaded the launch of the BFF Program, a cause marketing campaign that allows local Toronto businesses like Partial to donate a portion of their profits to SKETCH. “I’m seeing this community come together and it’s from businesses that all have this underlying thread of wanting to help and see community change,” she says. In return, the SKETCH BFF receives a bespoke marketing plan to promote the partnership, which can include anything from social media posts and signage to collaborating on a fundraising event. Eunice Kim is a Toronto-based writer and producer with a penchant for multimedia storytelling. Whether it’s through text, visuals or sound, she is always looking for compelling ways to tell diverse stories. Eunice currently works as an associate producer at the Canadian Broadcasting Corporation. Partial Gallery is a proud member of SKETCH’s BFF Program, donating 1% from every art sale and rental to their organization’s mission to celebrate and engage young people as culture makers, perception changers and collaborators in building creative communities.